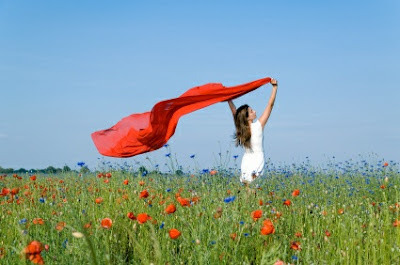 Limitless Living: Ignite the Free Spirit/Crazy in You! I believe that we all have a crazy part of ourselves that doesn't reveal itself often enough. Our world of rules and expectations makes it hard to get into our "optimal freedom zone". We are worried about what others think about us, we are scared to be unique- to do things because we simply feel like it. Everything has to make sense, has to be rationalized. But what if you just did something based on your intuition? What if you say what you really want to say and do what you really want to do? Well then, you would feel unbelievably free! We are given a precious life with limitless opportunity to feel emotion and follow our passion. It is important to connect with what we want and not pay attention to people who tell us otherwise. So this is my challenge to you: explore. And by explore I mean really look into yourself and see what it is that you want. Take a pen and paper right now and write down a few of the things that you really enjoy doing, things that bring you happiness- they could be small things or big things- remember, value can be found in many of the simple things in life. Now you have a base, a place to start from. Do those things. Today. And at the same time, be open to experience more of the things that you think would excite you- that would make you want to wake up in the morning. Take another piece of paper and write down those things that you simply haven't done, or are too scared to do. Now go out and do them! And if they are big things, remember that consistency is key- so small achievements every day lead to massive outcomes. Often we get caught in "thinking" about what we should do, rather than "feeling" what we want to do. We listen to others' opinions and try to find reassurance that what we want to do is going to be the "right" thing. And this can be counter-productive. So in this case, just be spontaneous. Don't give yourself too much time to think. Just do. Trust me, the fears are just fears. Because when we actually do what we want, we realize that what we feared is rarely true. Break the barriers, push the limits, talk to a stranger, write a book, attend an event, plan a trip, do something just because you feel like it- whatever this may be.